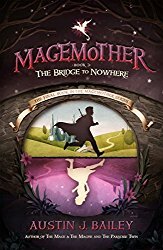 Today’s interview is with middle-grade author Austin J Bailey. 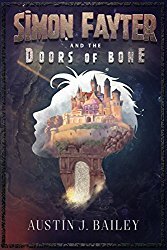 Austin J. Bailey writes action-packed fantasy adventures for kids of all ages. He was born and raised in Utah. He is a fiction author and novelist, writing in the middle grade and young adult fantasy genres. 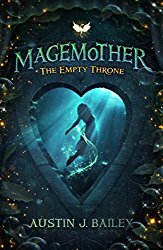 He is the author of the Magemother series (which includes The Mage & the Magpie, The Empty Throne, The Paradise Twin, and The Bridge to Nowhere), and Simon Fayter and the Doors of Bone. About 10% of Austin’s mailing list subscribers buy his new book releases. Through Facebook advertising, Austin has targeted sales towards women aged 18-45 years. 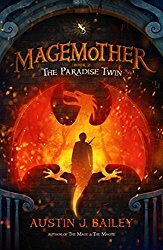 Adults read middle-grade grade fantasy and/or share them with their kids. Austin’s success with Facebook advertising has been for his boxset which is sold at a reduced price to the individual titles. Facebook ads are scaleable. You do need to make sure you are getting a return on your investment and build it up over time. Austin uses the permafree model where the first book in the series is free and finds it works well at attracting new readers. 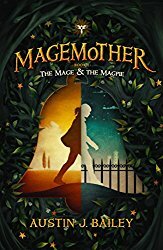 The Magemother series is wide across all platforms and once he started advertising on Facebook for Amazon sales, his sales on other platforms increased even without direct advertising – quite a lot as you’ll see from his sales chart in the video. Using affiliate links on Facebook advertising is also a good way to make some extra money. And lots more! Enjoy the show. 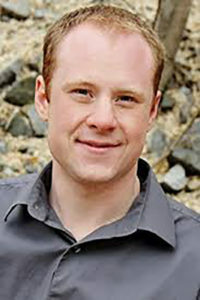 You can find Austin online at www.AustinJBailey.com, follow him on AMAZON, and get social with him on Facebook and Twitter.